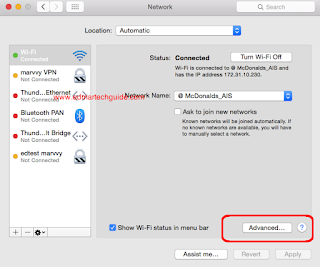 Most public Wifi hotspots requires you to sign in and register first using the supplied password. 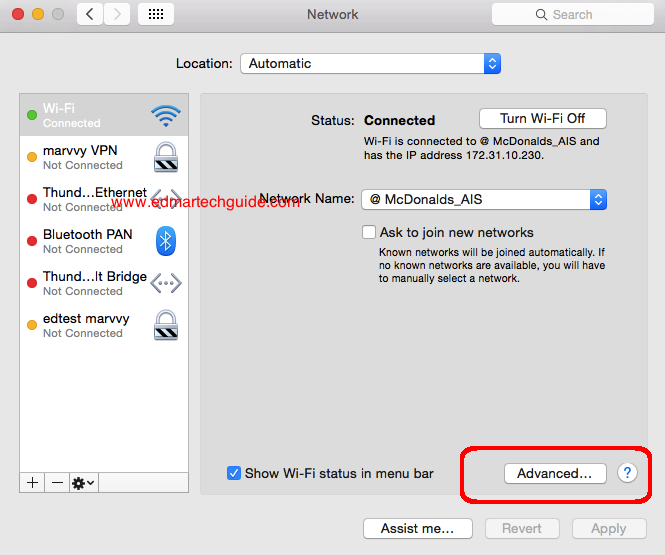 But if you're using a Mac this could be a problem because most of the time it will not show log-in page. I recently experienced this when I went to Bangkok and had breakfast in McDonalds. They offer free AIS WiFi internet for 45 minutes, but the problem was the log-in page doesn't show even though I was connected. Tried different browsers (Chrome, Safari, and Firefox) but still no dice. This problem is due to the DNS setting of you computer. 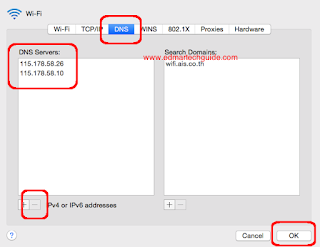 Basically, you need to delete the current DNS stored on your computer so it will force to get a new one. 8. Repeat for the next set of numbers. 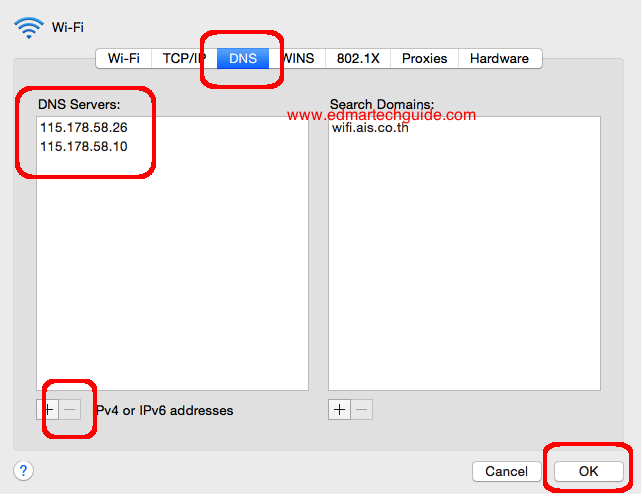 You will noticed that it will give you another set of DNS after deleting the two entries. 9. Click Okay then click Apply on the next window. You can now open your browser and try to go into any website and it will redirect you to the log-in page of the public WiFi you're connected to. Dear, I like your blog very much, I can get many useful information. Hope that we can communicate with each other. By the way, have you ever used memory card software ? Unfortunately I lost my memory card data. I do not know how to do.